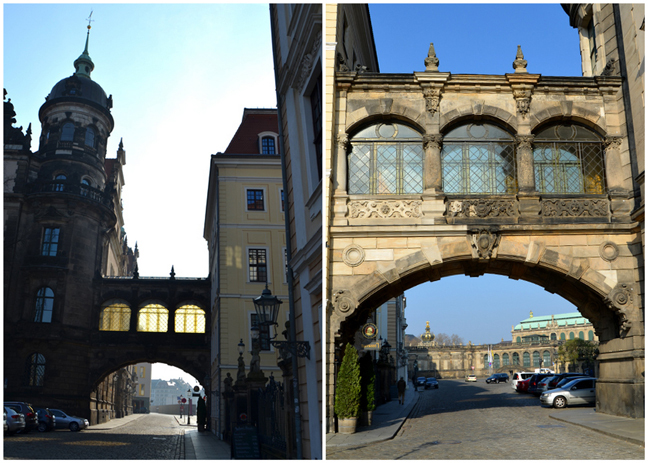 After visiting Görlitz we loaded back into the car and drove the short 45 minutes into the heart of Dresden, Germany. 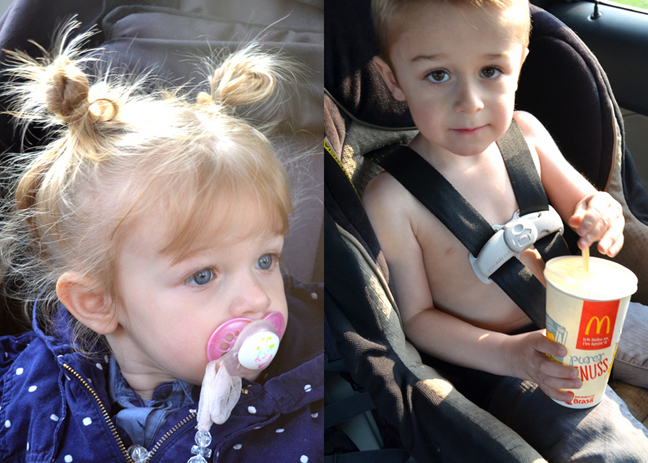 Fox's new "thing" is to not wear a shirt so he doesn't get "too hot" and have his exorcism tantrums. Whatever buddy, you're so funny. Chris booked this vacation (we switch off) and found us a ☆☆☆☆ Best Western just a 15 minute tram ride from all the cool sights. 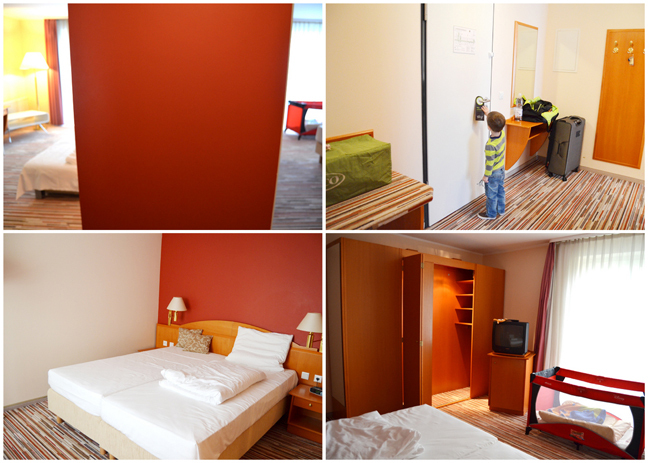 I wasn't expecting much, but honest to goodness this was the BEST hotel we've EVER stayed in in Europe! When I opened the door I let out an audible gasp - two separate rooms! An entryway with helpful desks for placing items, a coat rack, they'd already set up a pack'n'play so we didn't need to lug ours (but we did cuz we didn't know they'd have one), a super nice and clean shower with a VENT (I've YET to see a vent in any house or apartment or building or hotel until now! ), even a kitchenette! I would have brought much more of our own food had I known there was a kitchen! Plus, and this was just the icing on a ginormous chocolate fudge cake, they had a HUGE playroom! All Fox wanted to do was play here our entire vacation, so it was hard to pull him away, but the pros definitely outweighed the cons. After getting settled we walked down the street to a little bakery and got some dinner. I had a sandwich and the kids split a brat and fried potatoes. Goodnight Dresden! Can't wait to explore! Sunday morning we woke up and ate some cereal in the comfort of our room. The view across the street from the hotel. It felt like we were in a real neighborhood! 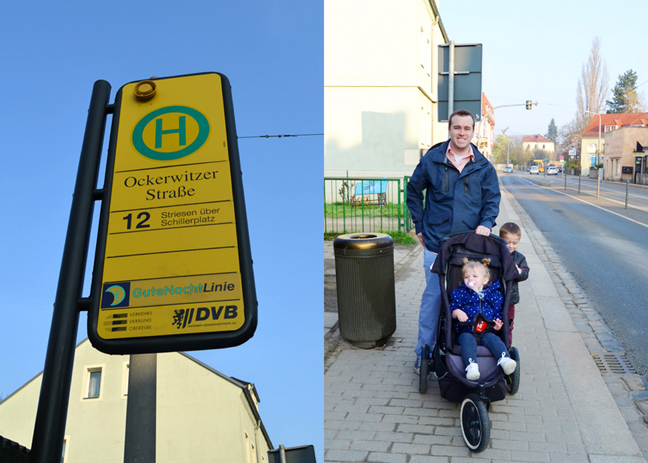 Chris figured out how to get into Dresden via the tram. We walked 3 minutes down the road to a bus stop and waited just a couple minutes for it to arrive. All aboard! 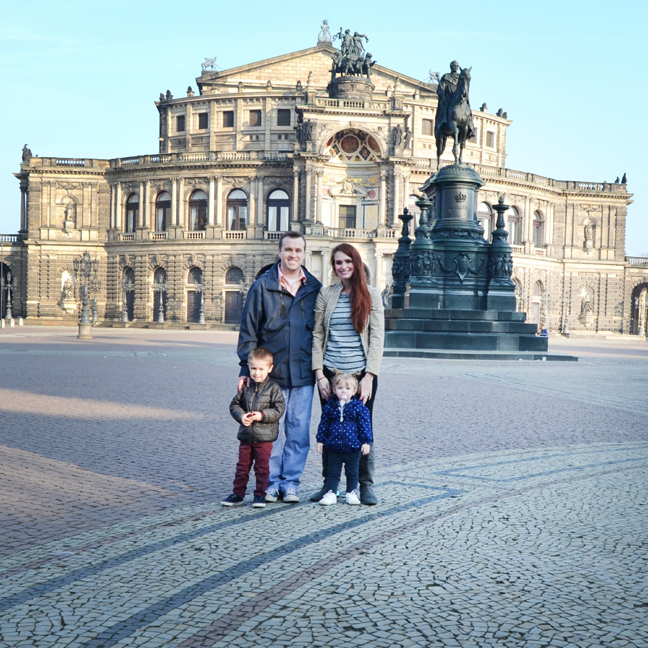 We road about 10 stops to Postplatz and got off, in the heart of Dresden. 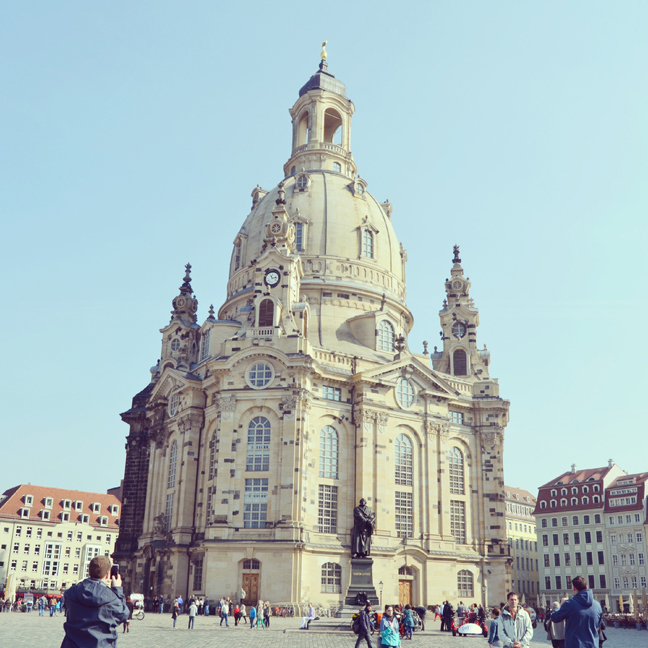 Dresden history lesson: Dresden is fanciful with Baroque architecture in a delightful-to-stroll cityscape, a dynamic history that mingles tragedy with inspiration, and some of the best museum-going in Germany. Today's Dresden is a young and vibrant city, crawling with proud locals, cheery tourists, and happy-go-lucky students who barely remember communism. At the peak of its power in the 18th century, this capital of Saxony ruled most of present-day Poland and eastern Germany from the banks of the Elbe River. 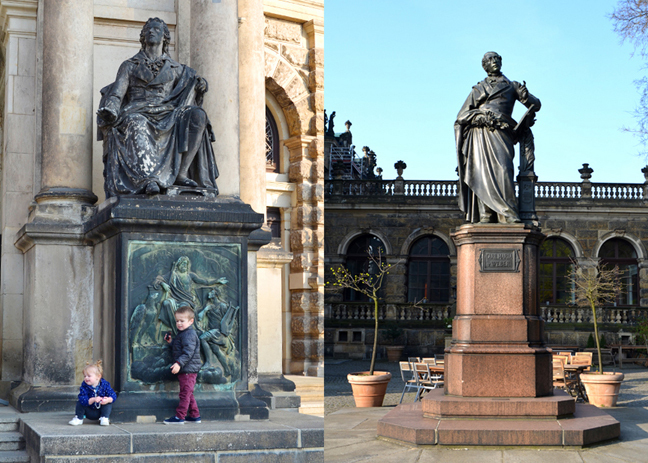 Dresden's answer to Louis XIV was Augustus the Strong. 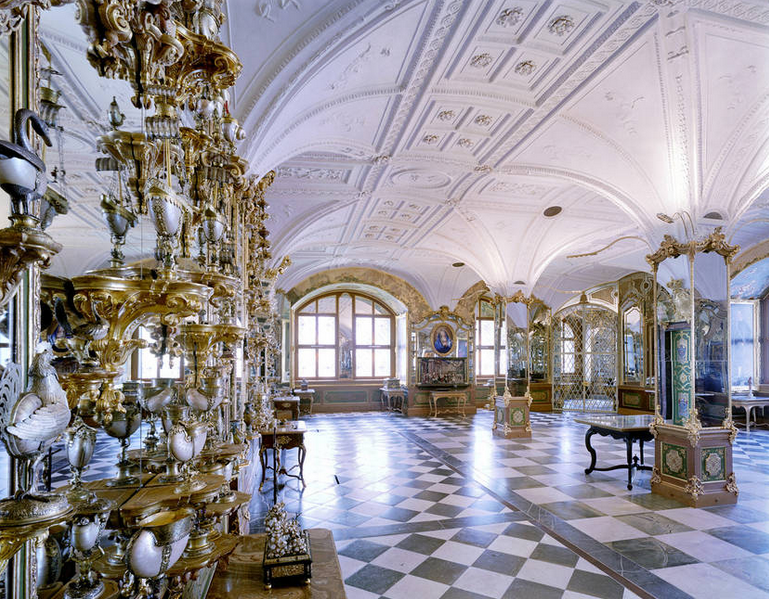 As both prince elector of Saxony and king of Poland he imported artists from all over Europe, peppering his fine city with Baroque buildings and filling his treasure with lavish jewels and artwork. 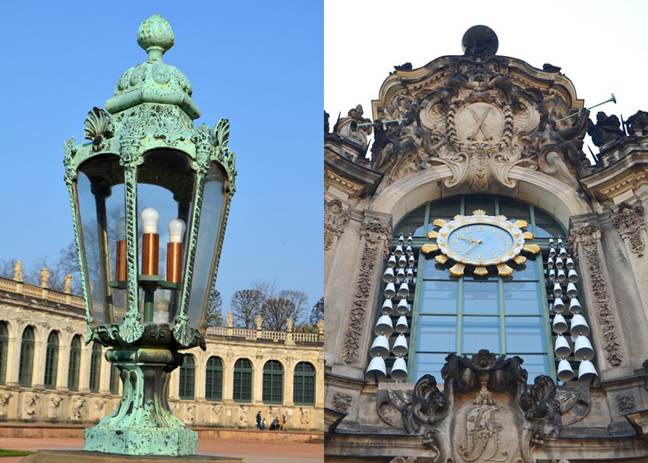 Dresden's grand architecture and dedication to the arts - along with the gently rolling hills surrounding the city - earned it the nickname "Florence on the Elbe." 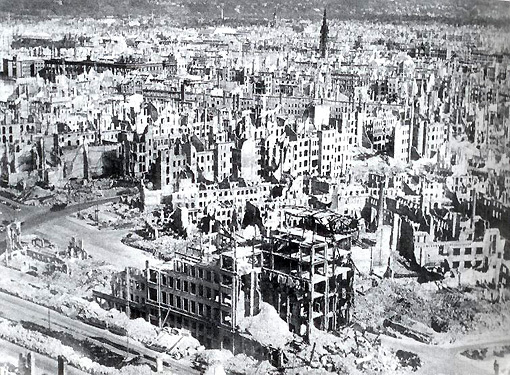 Sadly, these days Dresden is better known for its destruction in WWII. American and British pilots firebombed the city on the night of February 13, 1945. More than 25,000 people were killed and 75% of the historical center was destroyed. Under the communists Dresden patched up some of its damaged buildings, left many others in ruins, and replaced even more with huge, modern, ugly sprawl. After the Berlin Wall fell and Germany was reunited, new funding became available for Dresden. 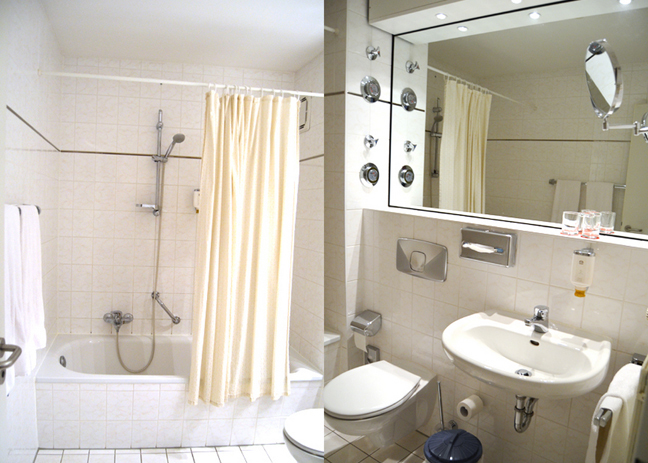 The city build apartment complexes and shopping centers and rebuilt the Royal Palace and the Frauenkirche. Even though the city plan still feels bombed-out with big gaps, wide boulevards, and old streetscapes gone - the transformation has been astonishing and all the most important historic buildings have been reconstructed. While bombs devastated the Old Town, they missed most of the New Town across the river. While well-worn, it retains its prewar character and has emerged as the city's fun and lively people zone. 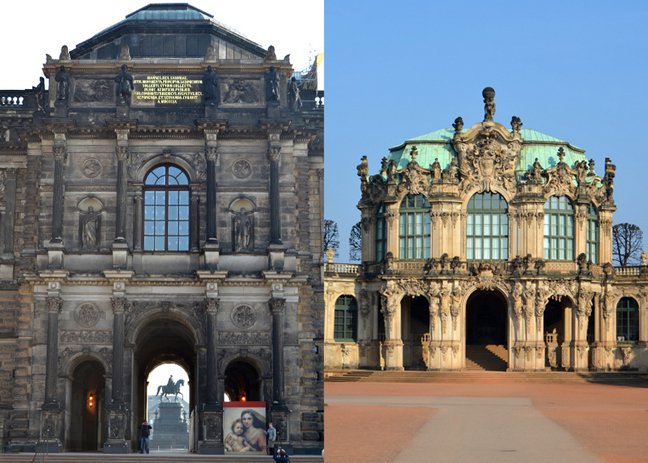 Dresden is BIG, with half a million residents. Its city center hugs a curve on the Elbe River. Despite the city's size, most of its sights are within easy strolling distance along the south bank of the Elbe in the Old Town (Altstadt). We began our Rick Steves self-guided walking tour early in the morning before most people were awake (especially considering it was the first day of Daylight Savings) at the Theaterplatz. This equestrian statue is of King John, an unimportant mid-19th-century ruler in the middle of the square. Behind the statue is the grandiose Saxon State Opera House, nicknamed the Semperoper after its architect Gottfried Semper. 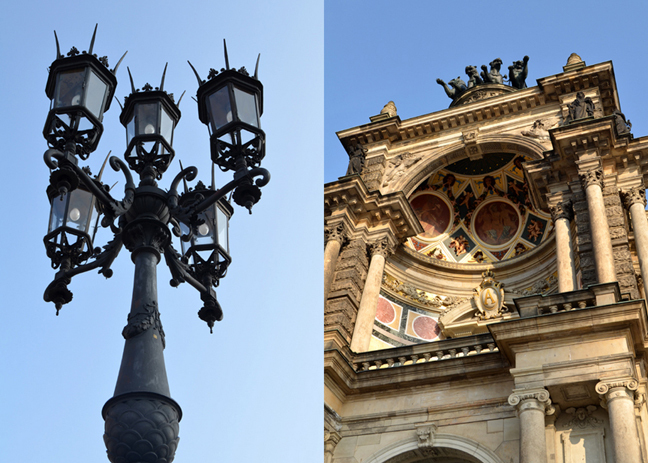 Ornate lamp posts everywhere. Details up close of the Opera House. Across the square from the Opera House is the Hofkirche. All the buildings in this square are thoroughly reconstructed. 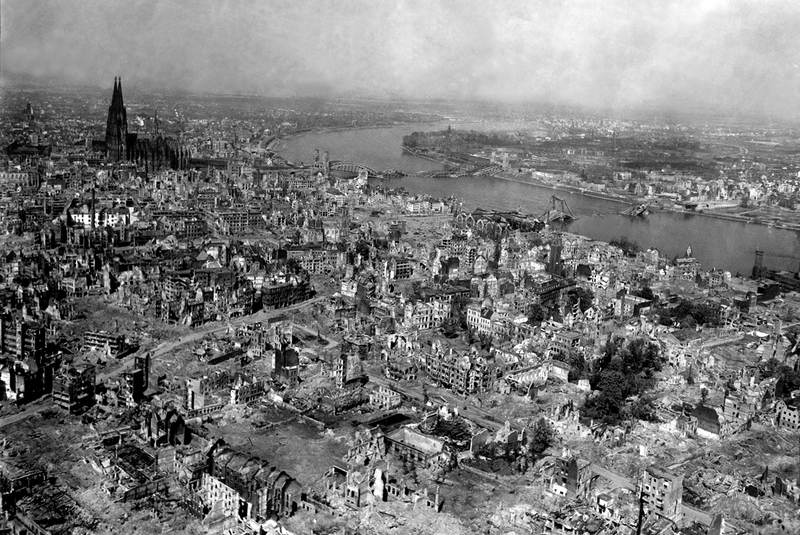 The originals were destroyed on that night in February 1945 by Allied bombings. Only walls and sometimes just foundations were left standing. 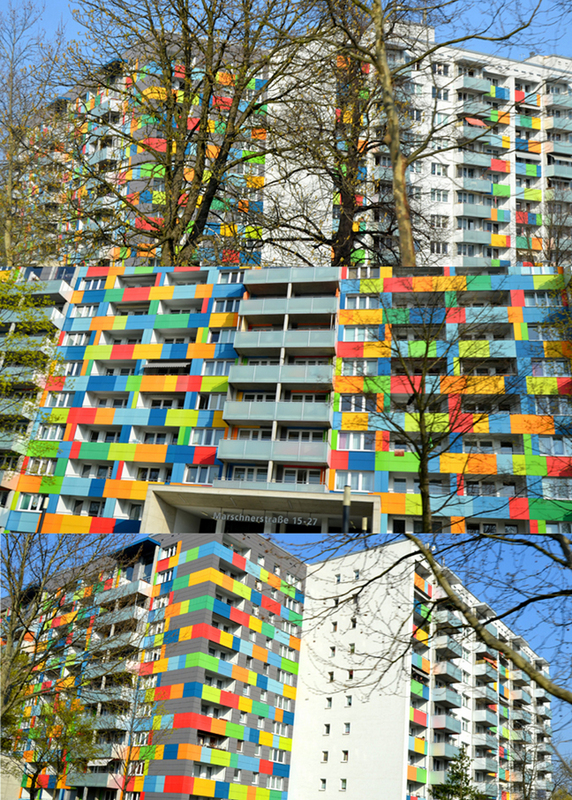 For more than 60 years Dresden has been rebuilding. To the left of the Opera House is the Neoclassical guardhouse called the Schinkelwache (housing the opera box office). Fox and Jane by a statue at the front of the Opera House. Then we walked up the path between the Opera House and the Zwinger and saw the small statue of composer Carl Maria von Weber. His Der Freischütz was the last opera performed in the building before it was bombed and the first opera performed when it reopened in 1985. We walked up the pathway to a fountain that is probably something else when water is going! Come'on, it's spring already, let's get these babies running! :) To get the best view of the Zinger, we walked back down and all the way around. 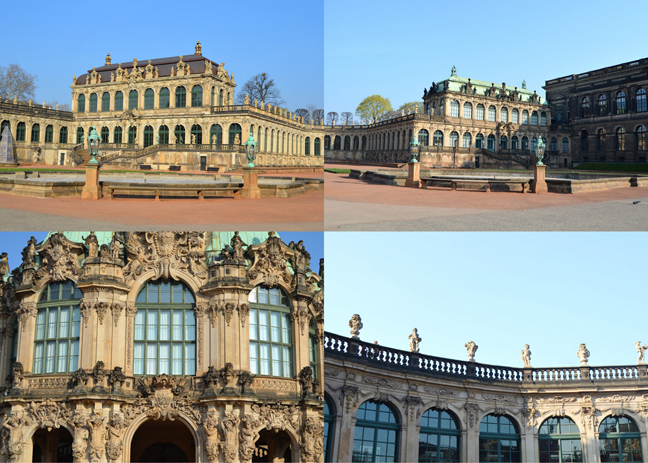 The Zwinger complex is a Baroque masterpiece - once the pride and joy of the Wettin dynasty, and today filled with great museums. The Wettins ruled Saxony for more than 800 years, right up until the end of the First World War (just like the Romanovs in Russia and the Habsburgs in Austria). Saxony wasn't ruled by a king but by a prince elector - one of a handful of nobles who elected the Holy Roman Emperor. The prince elector of Saxony was one of Germany's most powerful people. In the 18th century, the larger-than-life Augustus the Strong - who was both prince elector of Saxony and king of Poland - kicked off Saxony's Golden Age. 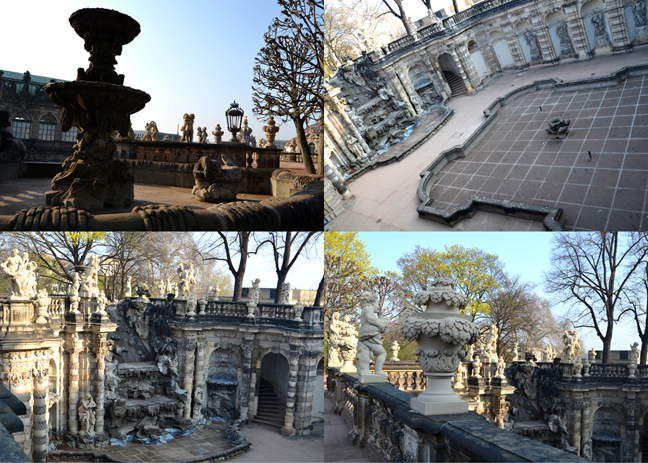 The word "Zwinger" refers to the no-man's-land in between the outer and inner city walls. As the city expanded, the complex of buildings was built here. 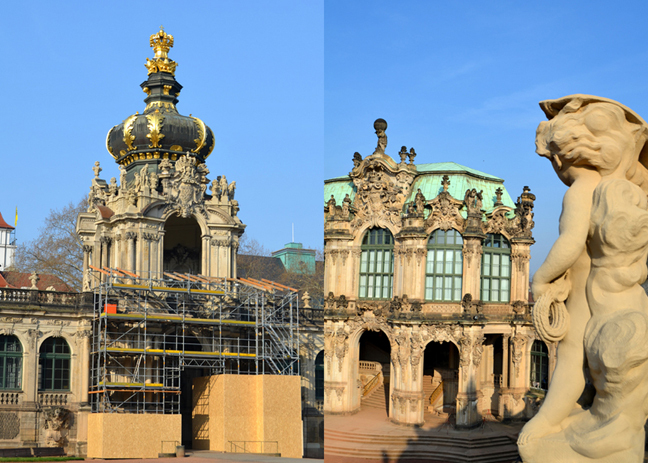 By Augustus' time, the Zwinger was used for Saxon royal celebrations. 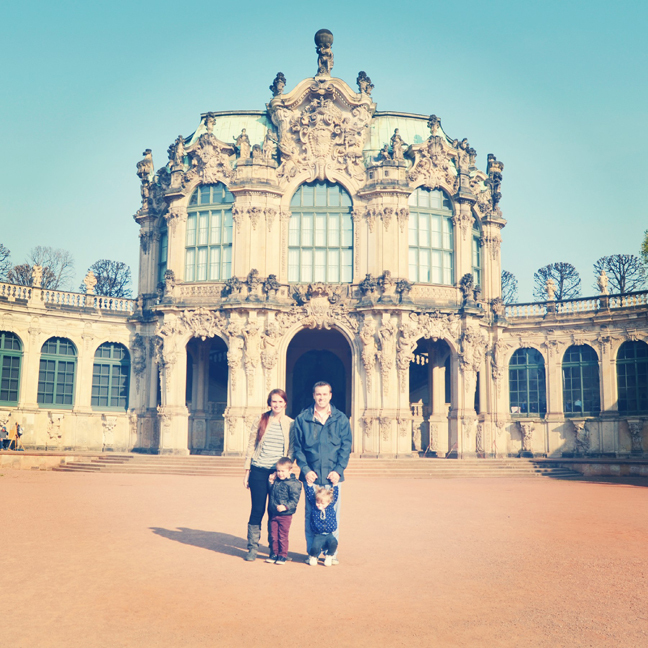 Here we are standing in front of the Rampart Pavillion of the Zwinger complex - the first wing of the palace with capped with an orangerie and sun pavilion built for Augustus' fruit trees and parties. Up top is Atlas (who just so happens to have Augustus' features...) with the Earth on his back - a fitting symbol for Augustus the Strong. Today this wing of the Zwinger houses the fun Mathematics-Physics Salon. 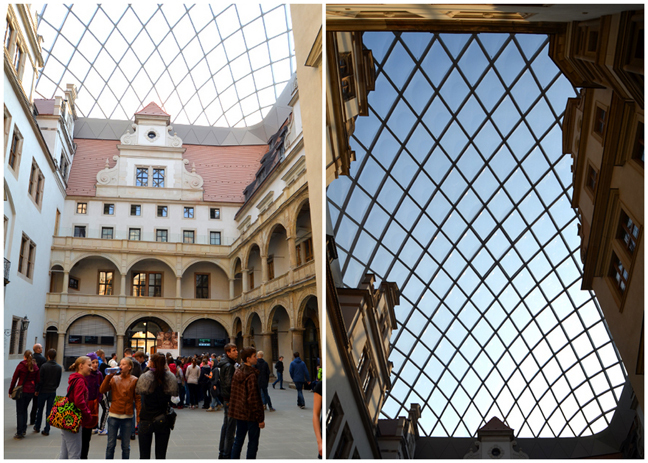 To the left is the Crown Gate topped by four golden eagles supporting a smaller crown - symbolizing Polish royalty. Another rotation brings us to the Glockenspielpavilion. 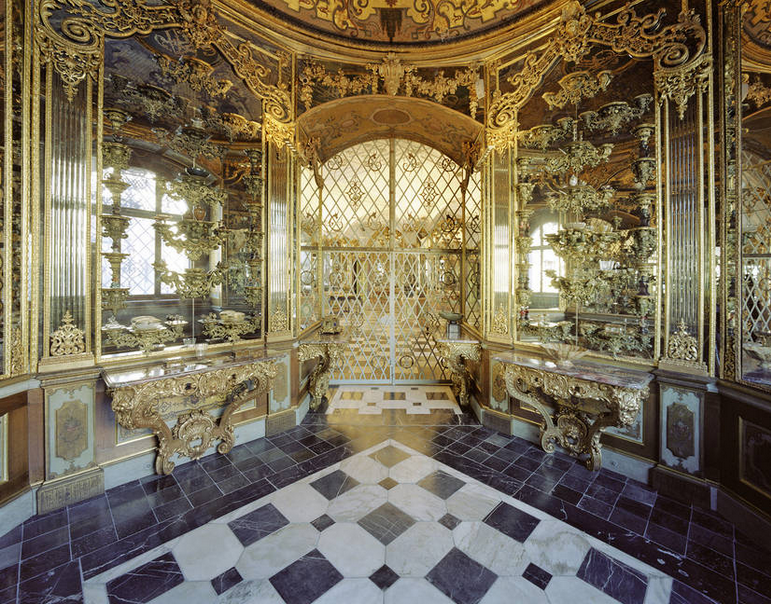 This wing of the Zwinger houses Augustus' Porcelain Collection museum. The glockenspiel near the top of the gate has 40 bells made of Meissen porcelain. We heard them chime once and it was such a pretty sound, I wish I had captured it on video! A final turn brings us to the Semper Gallery. This Zwinger wing was added to the original courtyard a hundred years later by Gottfried Semper (who also built the Opera House). 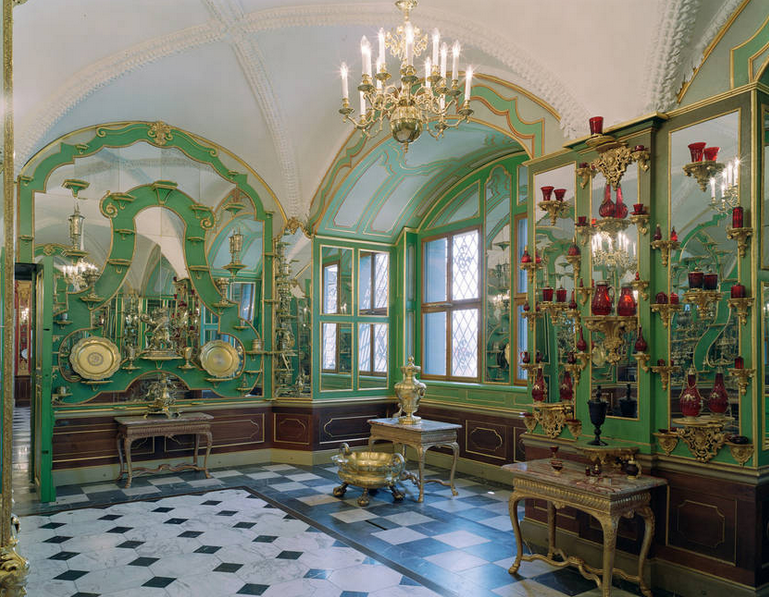 It contains Dresden's best painting collection, the Old Masters Gallery, as well as the Royal Armory. Throughout Dresden the local sandstone looks really sooty - it's not from pollution, but natural oxidation that turns the stone black in about 30 years. Once restored, statues are given a treatment that lets the stone breathe and not go black, a controversial approach. I'm not sure where I stand on this issue. Detail shots inside the courtyard of the Zwinger. Cute from far, but far from cute statues! Creepy! We exited and walked down Taschenberg street. The Taschenberg Palace - ruined until 1990 and now the city's finest five-star hotel. Swanky! The yellow-windowed sky-bridge connects the Taschenberg, which was the crown prince's palace, with the prince electors' Royal Palace. Inside the Royal Palace is the Green Vault Treasuries. We had tickets for 10am so we meandered around until our time. 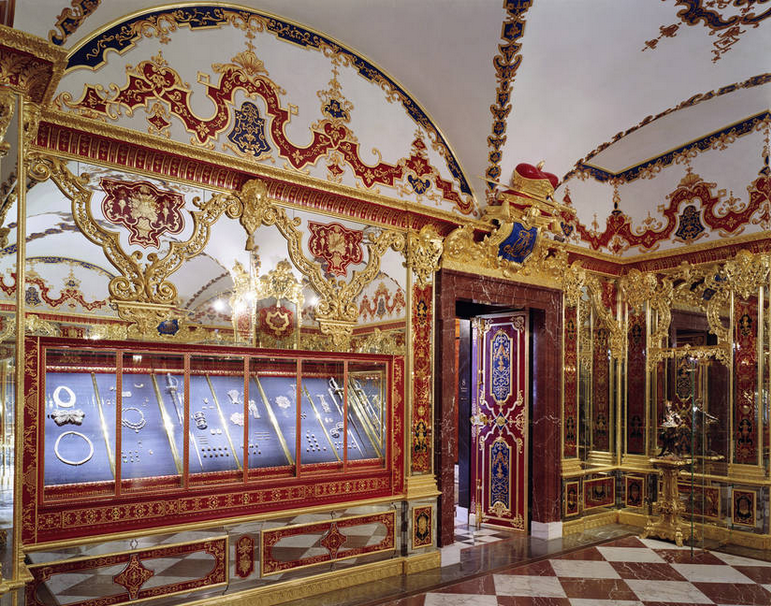 The famed, glittering Baroque treasury collection was begun by Augustus the Strong in the early 1700s. 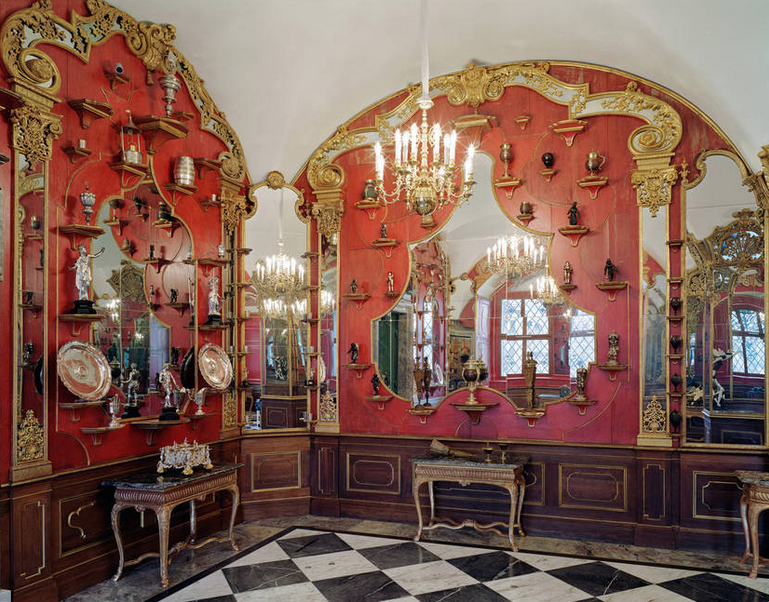 It evolved into the royal family's extravagant treasure trove of ivory, silver, and gold knickkacks, displayed in rooms as opulent as the collection itself. The kids were being particularly unruly... we don't last in museums very long. 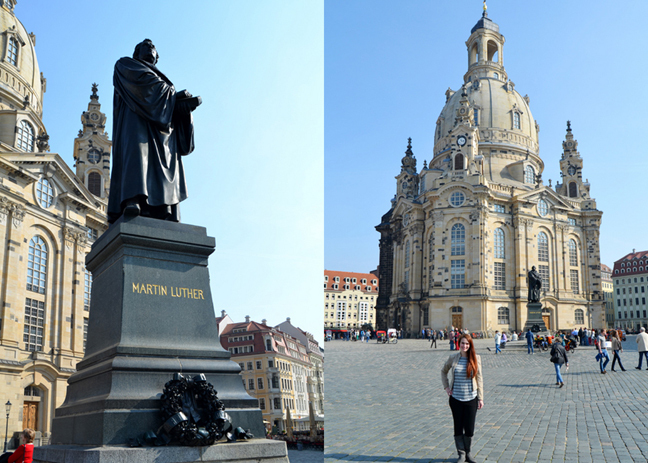 Why does Dresden, a stronghold of local boy Martin Luther's Protestant Reformation, boast such a beautiful Catholic cathedral? When Augustus the Strong died, his son wanted to continue as king of Poland, like his father. The pope would allow it only if Augustus Junior built a Catholic church in Dresden. Now the mere 5% of locals who are Catholic get to enjoy this fine church. Somehow we missed going inside here... Next time! Along the side of the Royal Palace is the Parade of Nobles. This mural is painted on 24,000 tiles of Meissen porcelain. Longer than a football field (whoa), it illustrates 700 years of Saxon royalty. It was built to commemorate Saxon history and heritage after Saxony became part of Germany in 1871. The artist carefully studied armor and clothing through the ages allowing the view to accurately trace the evolution of weaponry and fashions for seven centuries. The porcelain tiles are originals from 1907 - they were fired at 2400 degrees Fahrenheit when created and withstood the 1945 firestorm at "only" 1800 degrees. 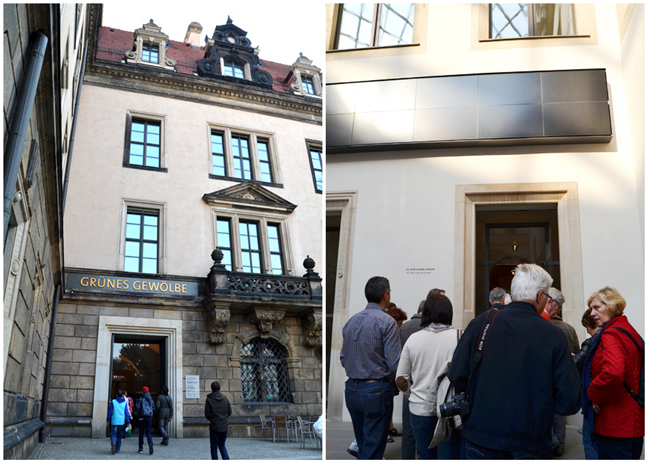 Then we walked to the Neumarkt - New Market Square - which was once a central square ringed by rich merchants' homes. 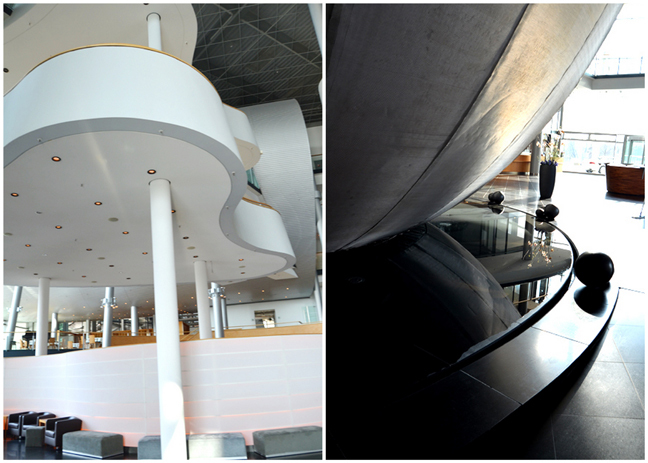 After many years of construction it is once again alive with people and cafés. The statue of Martin Luther shows him holding not just any bible, but the German version that he personally translated so that regular people could wrestle with it directly - basically what the Protestant Reformation was all about. Toppled in the bombings, Luther has been cleaned up and back on his feet again. | And here I am in front of the towering Frauenkirche (Church of Our Lady - every city has one :) ) that dominates the Neumarkt. 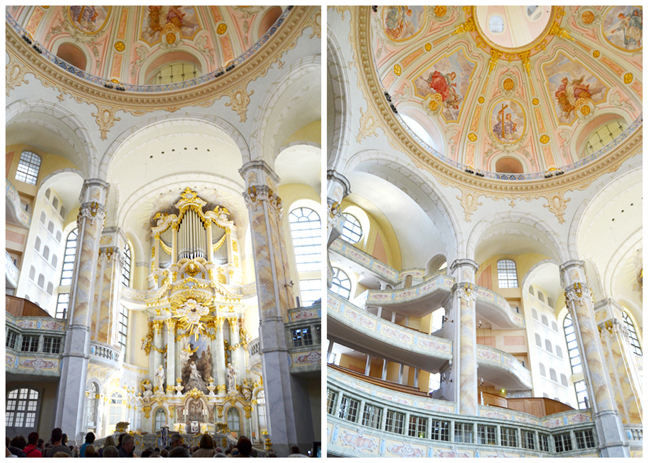 This church is the symbol and soul of Dresden. 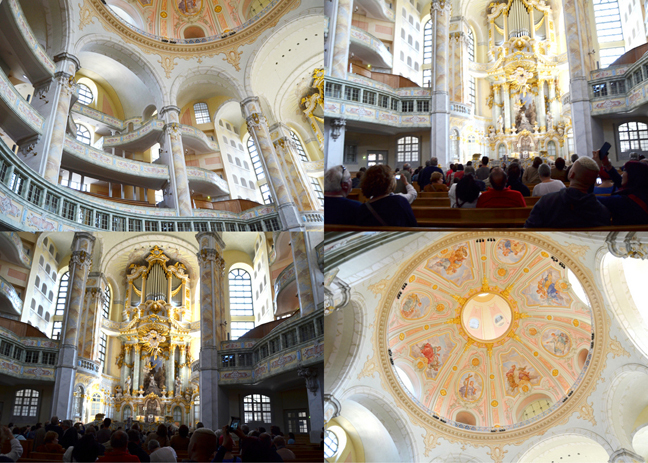 When completed in 1743 this was Germany's tallest Protestant church (310 feet high). Its unique central-stone-cupola design gave it the nickname "the stone bell." While it's a great church, this building garners the world's attention primarily because of its tragic history and phoenix-like resurrection: On the night of February 13, 1945, the firebombs came. When the smoke cleared the next morning, the Frauenkircke was smoldering but still standing. It burned for two days before finally collapsing. 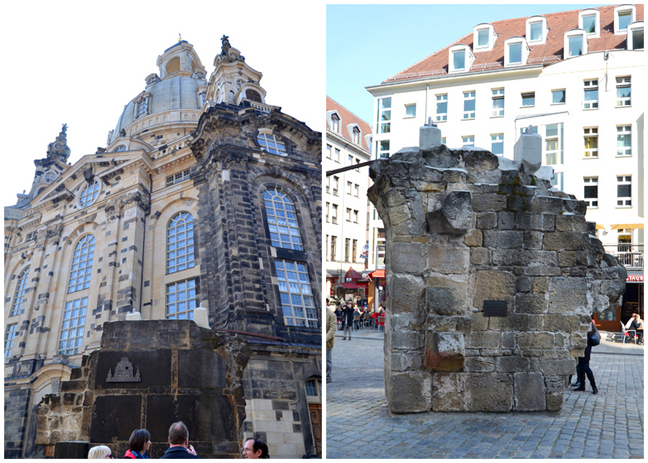 After the war the Frauenkirche was left a pile of rubble and turned into a peace monument. Only after reunification was the decision made to rebuild it completely and painstakingly following carefully considered guidelines: rebuild true to the original design; use as much of the original material as possible; avoid using any concrete or rebar; maximize modern technology; and make it lively venue for 21st-century-style worship. The church was fitted together like a giant jigsaw puzzle, with about a third made of the darker original stones - all placed lovingly in their original spots. The reconstruction cost more than €100 million, 90% of which came from donors around the world. It reopened to the public in 2005. A big hunk of the bombed rubble stands in the square as a memorial. Since it was Sunday there were services taking place all throughout the day, but the church opened up for just one hour during lunch and we were able to go inside and take pictures. Pastel themed, perfect for upcoming Easter! Just a few yards away from the Frauenkirche is a huge area still damaged from the war so many years ago. 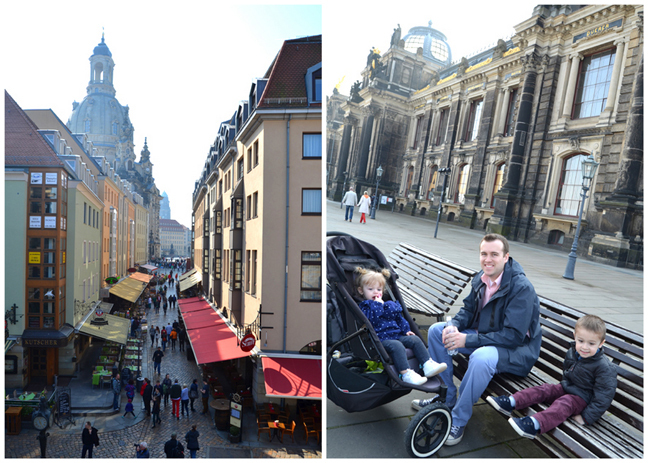 We walked down the cute café-line Münzgasse street and up the stairs to Dresden's grand river-view balcony. Just some eerie looking trees, my favorite, at the end of the balcony. 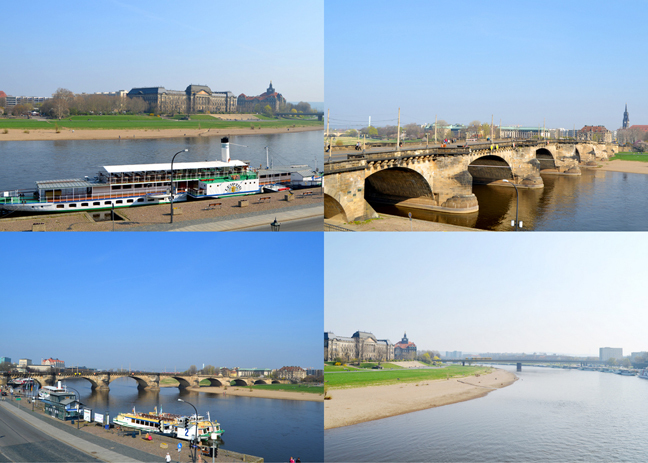 This delightful promenade overlooking the Elbe River was once a defensive rampart. Later it was given as a reward to a Saxon minister named Brühl who had distinguished himself as a tax collector, raising revenue for Frederick Augustus II's state treasury. In the early 1800s it was turned into a public park with a leafy canopy of trees. Across the river and after the people sprawled across the river banks soaking up the warm sun we saw the Ministry of Finance and the State of Chancellery of Saxony which has the office of the Minister-President of Saxony. We got a good view of the Augustus Bridge which connects Dresden's Old and New Towns. 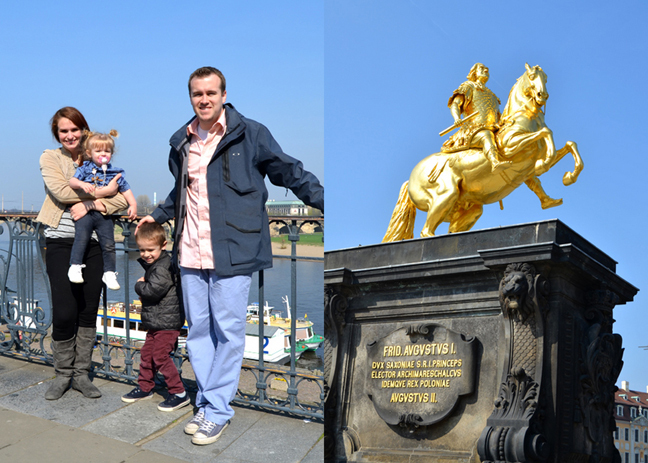 We walked across the bridge to the golden equestrian statue - a symbol of Dresden. 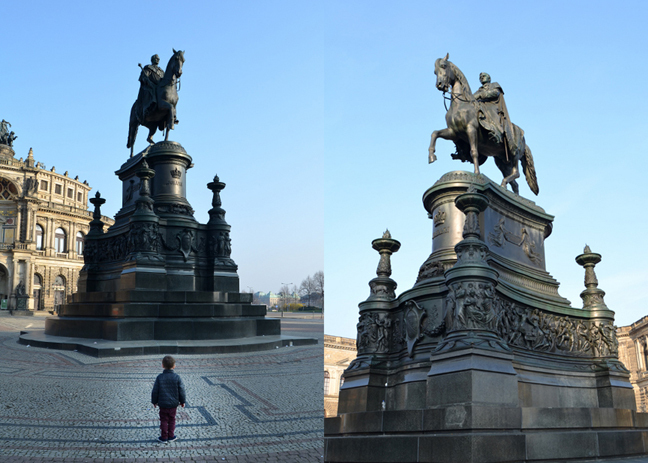 It's Augustus the Strong, the Golden Rider, facing east to his kingdom in Poland. Looking down the shop-lined Haupstrasse of New Town. We walked back across the bridge, walked back to where the tram dropped us off, bought a tram ticket (cuz we didn't have coins to buy the family pass in the morning, don't tell!) and rode back to the hotel. At the hotel we took a much needed siesta. 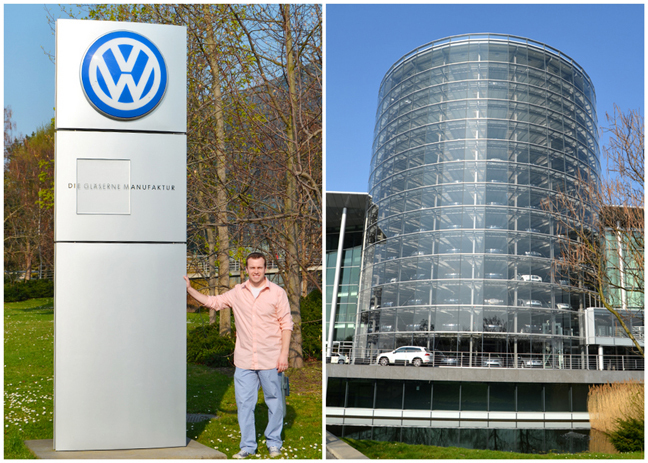 In the mid-afternoon we loaded up in the car and drove to the Volkswagen Transparent Factory. We've been to the Audi Museum in Ingolstadt, now we've been to the VW Museum in Dresden, and we still have BMW and Mercedes to go! You can watch cars being made on an assembly line, how neat!, but since it was Sunday it wasn't currently operating. Bummer. Next time. 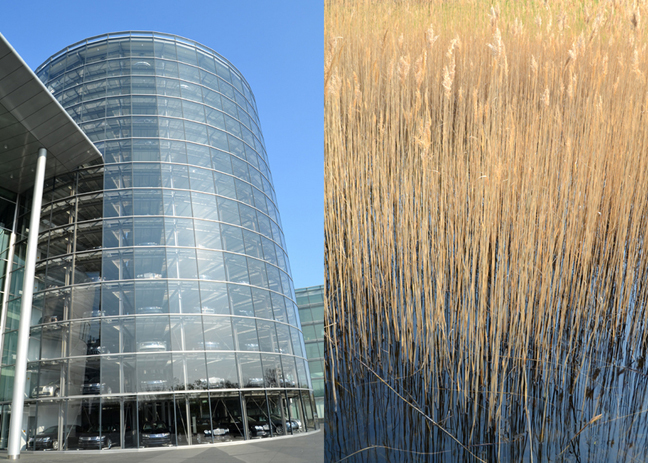 Two floors of this fascinating, transparent building are open to visitors interested in the assembly of high-end VW Phaeton sedan, one of the carmaker's luxury sleds. If you buy a Phaeton here, you can set yourself on the platform (BYO folding chair) and follow it through every moment of the 36 hour "birth" process. The parts are delivered to a logistics plant on the edge of town then transported to this manufacturing plant by "cargo trams" instead of trucks to keep traffic congestion down. These babies retail for over 136,000 Euros or 188,000 dollars. Wowza! They gave the kids chocolate, how "sweet" :) I'm punny. We couldn't figure out how to get out of the gated parking lot but as we were debating what to do next the arm lifted and we were able to get outta dodge for free! 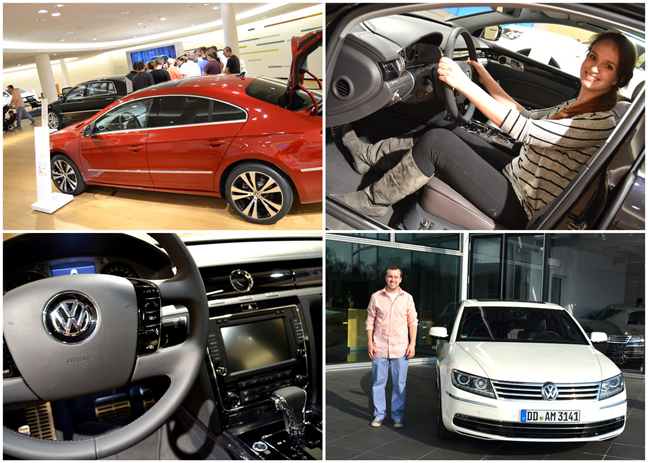 Thank you VW! When I first googled images of Dresden I saw lots of pictures of the old mixed with modern Bundeswehr Military History Museum and wanted to see it with mine own eyes. So we did! The MHM is the military museum of the German Armed Forces, the Bundeswehr, and one of the major military history museums in Germany. It is located in a former military arsenal in the Albertstadt which is part of Dresden. 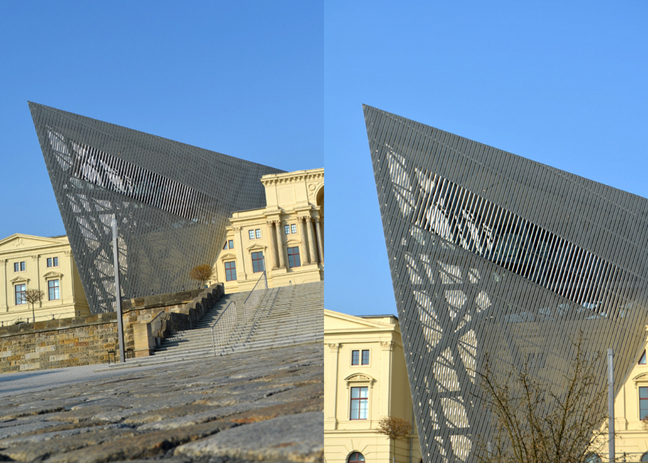 After a long history of switching titles and approaches to military history, the museum was re-opened in 2011 with a new internal and external concept. The museum focuses on the human aspects of war while also showcasing the evolution of German military technology. Self timer selfie! In front of the museum is a grand area that reminds me of Hyde Park in London. We passed the mosque-shaped Yenidze building, originally a tobacco factory designed to advertise Turkish cigarettes, now an office building with restaurants and night clubs. We got a great view of Dresden going back over the bridge to our hotel. For dinner we walked to a pizza/pasta/ice cream house and I got a Hawaiian pizza that was sprinkled with cinnamon that I can't stop thinking about! What a marvelous, fun-filled day! Looks like an amazing time!!! That hotel does look great and loving that you all got family pics on this trip!!! And $188k for a car ... that's crazy! LOL!!! Good job on the hotel, Chris! 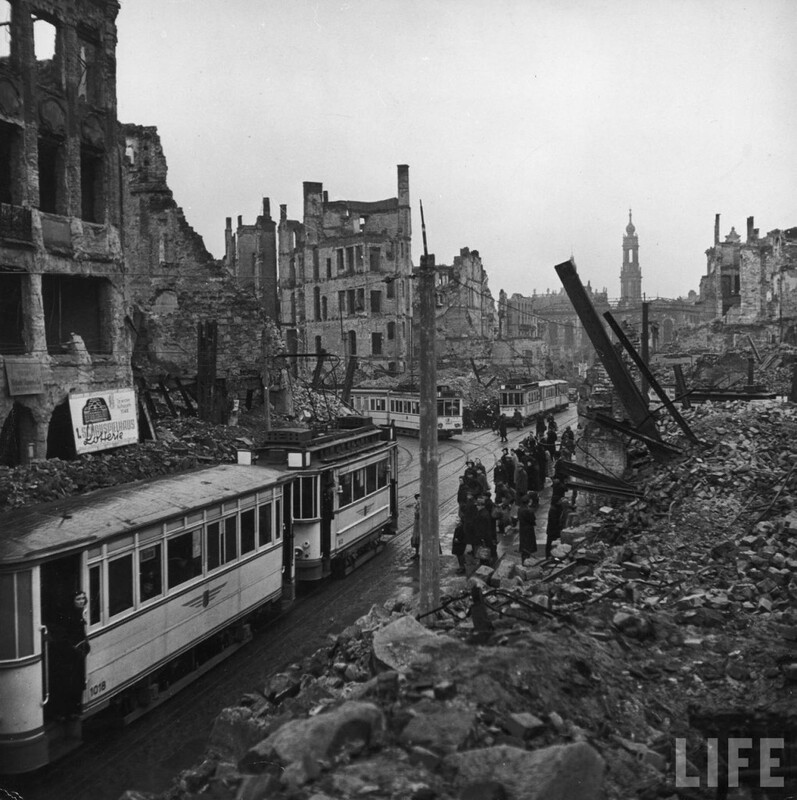 When I think of Dresden, I think about WWII and the bombing and a Dresden china doll my grandmother had. That was an excellent recap! 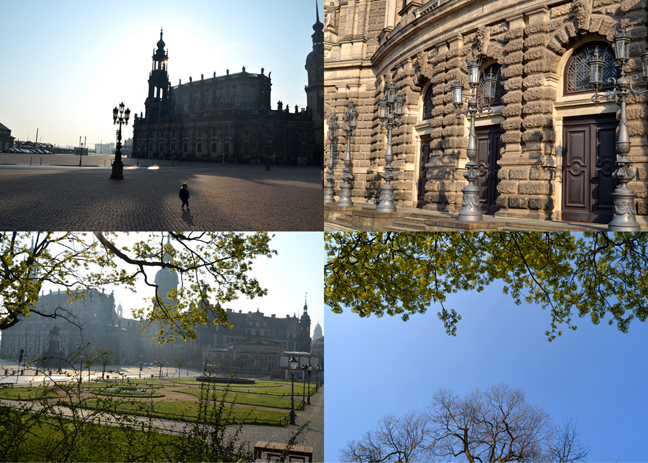 I loved Dresden. Beautiful city that had a more Eastern European vibe, a lot like Prague. 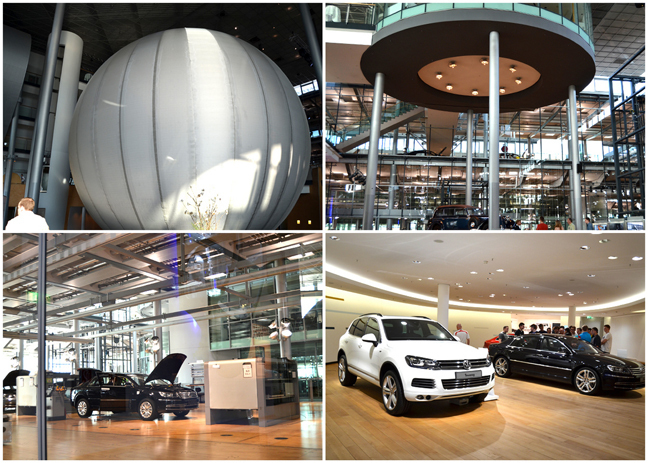 Plus, the VW factory was really fun, too! WOW! amazing photos.. thanks for sharing your trip. A $188,000 car! Does it cook your dinner and do your laundry?! Yikes. Who would be brave enough to drive something so expensive?! So cool!! I love all the history lessons in these posts. Really makes it all come alive to see the pictures and the stories together.